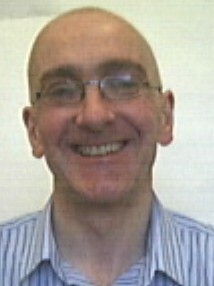 I have been a consultant psychiatrist with the Northern Health and Social Care Trust since 1998. Since April 2000 I have been a Senior Lecturer in the Centre for Medical Education (Lead for Psychiatry) at The Queen’s University of Belfast and continue to work as a Consultant Psychiatrist with the Northern Trust. Currently I am co-lead for an innovative service for young people with "at risk mental states"-that is, those thought to be at risk of developing a psychotic illness. I am Co-Clinical Lead of the Northern Ireland Clinical Research Network, Mental Health Special Interest Group. I have acted as an advisor to the Victims and Survivors Service on clinical interventions for those who have been impacted on by the trauma of the "Troubles". I am a Fellow of the Centre for Evidence and Social Innovation at Queen's University and an Associate Fellow of The Senator George J. Mitchell Institute for Global Peace, Security and Justice at Queen's University. I have recently been appointed as Interim Clinical Director for the Northern Ireland Mental Trauma Service. 1996 Senior Registrars Research Prize, Royal Academy of Medicine in Ireland. I have a research interest in the impact of childhood trauma on mental health outcomes in young adulthood and have published widely in this area. This work, also carried out with Ciaran Shannon, has lead to the dissemination of our findings to a wide clinical audience through clinical reviews and the commissioning of a book chapter on the impact of childhood trauma on brain functioning (forthcoming). I am a Principle Investigator on the Northern Ireland First Episode Psychosis Study (NIFEPS). I have a particular clinical and research interest in the impact of violence in the local context of Northern Ireland on mental health outcomes. Together with my colleague Dr Michael Duffy in the School of Sociology, Social Policy and Social Work I organised a major international conference "Treating the Trauma of the Troubles" in November 2015. I have worked on a programme of research and scholarship exploring the of mental health difficulties in documenatry film with my colleague Dr Des O'Rawe from Film Studies at Queen's University. In April 2016 togther with Dr O'Rawe I organised a symposium "Film and the politics of mental health". This event was supported by the Senator George J Mitchell Institute for Global Peace, Security and Justice and explored the relations between film and the politics of mental health by focussing on the theories and methods of Radical Psychiatry, with particular reference to R. D. Laing and Franco Basalgia, two figures closely associated with that movement and its influence on the post-war counter-culture The event included an illustrated talk by John Foot, author of the critically acclaimed study, The Man Who Closed the Asylums: Franco Basaglia and the Revolution in Mental Health Care (Verso, 2015), and a screening of Luke Fowler’s All Divided Selves (2011, 93 mins. ), which was shortlisted for the 2012 Turner Prize. This event was attended by over 50 people and was supported by the Belfast Film Festival. I organise a resilience training programme for medical students at Queen's University. This programme has now been adopted by colleagues in Kenya. I am currently examining the impact of this training on oucomes and I am exploring the impact of previous negative life experiences on mental well-being and resilience in medical and other students. I have colloborated with colleagues in General Practice, Psychology and Computer Studies in this work. I have worked with Dr Linda Price in Geography on a project which uses qualitative research methods to explore the impact of stress on farming familes. I have published in this area and am currently developing research ideas with a colleague in History. I am the lead for psychiatry teaching for Phase Four Medical Students. I also provide teaching in psychopharmacology for Phase One and Two stydents. I organise Special Study Components (SSCs) in Addiction Studies and on the The Impact of Psychological Trauma. I have also taught on History of Medicine, Movies, Myths and Mental Illness and Neuropsychopharmacology SSC’s. I acted as examination organiser for the Diploma in Mental Health (postgraduate) from 1998 to 2009. I acted as organiser of the lecture courses for MRCPsych Parts One, Two and Three (postgraduate) from 2000 to 2014. The success rate in thses examinations has been consistently higher in the Northern Ireland Deanery than in any other of the 17 Royal College of Psychiatry deaneries. With colleagues at Queen's and University College Dublin I have recently published an undergraduate textbook, "Models in Mental Health", which is aimed at students from a range of disciplines (including social work, psychology, nursing and medicine). I am a chapter contributor to "Psychiatry by Ten Teachers" which is about to go a second edition after selling very well in the first. Regional Multi-professional Audit Group: £24,000 to create a database of all children and adolescents presenting with psychotic symptoms in Northern Ireland over a five year period. Investigator Ciaran Mulholland. Start date August 2006; duration one year. ESRC: £42,000 for study entitled “Cognitive inhibition during threat in PTSD: Effects of dissociation and anxiety.” Investigators Martin J. Dorahy, Noel Sheehy, Ciaran Mulholland. Start date July 2006; duration one year.